The choir has finished now for the spring term as choir has been cancelled for the last week due to our Rainbow Coffee afternoon on the 3/4/19. Everybody has worked really hard this term and I am sure you will all be super impressed when you see them perform at the showcase in June. 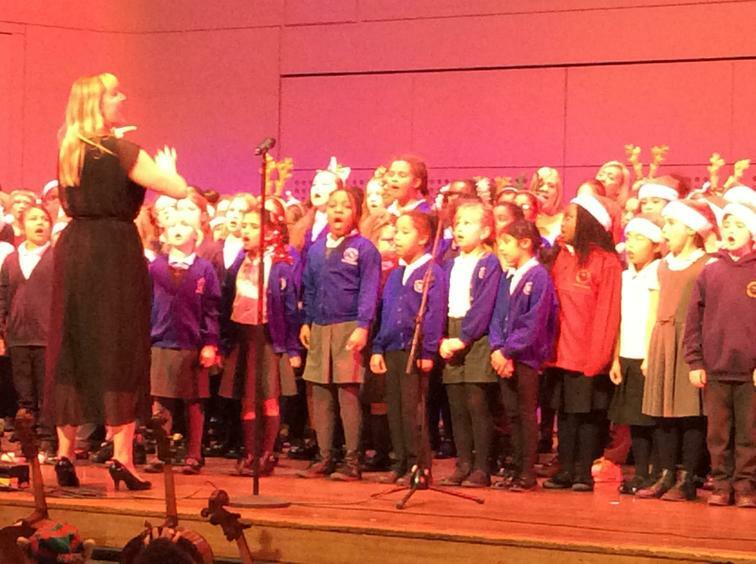 I can't express how incredibly proud I am of the KS2 choir this term. They have been so busy, especially during December. Key stage 2 choir will start back on Wednesday 26th September. We have a new chorist working in school called Miss Loizias who will be teaching singing in school as well as running the KS2 choir. Please see Miss Sharpe if you are interested in joining the choir, we are hoping we can continue the successes from last year and wow you once again in the Music Showcase. Key Stage One Choir will begin again in the Spring term. Please look out for a letter coming home during the Autumn term if you are keen to take up a place. I am really looking forward to seeing you there! On the 15/6/18 Old Basford school is proud to announce that our many and diverse musicians within Old Basford school will be showing off their talents and all they have learnt this year to family, friends and KS2. 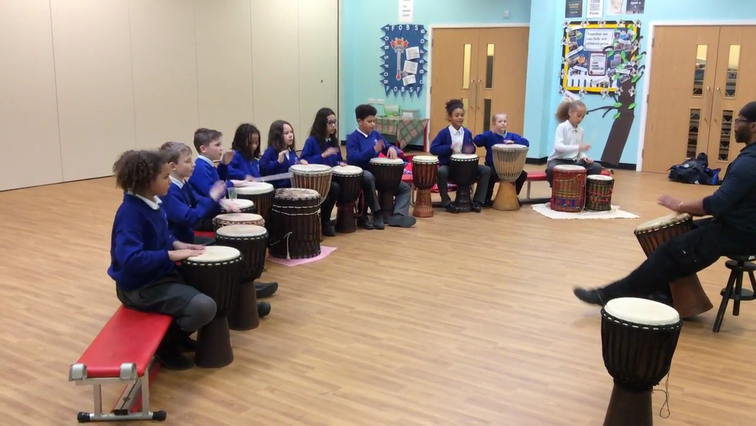 Performing will be our choir, recorders, African drummers as well as the guitarists throughout school. Please come along and help us to celebrate their talents and successes. 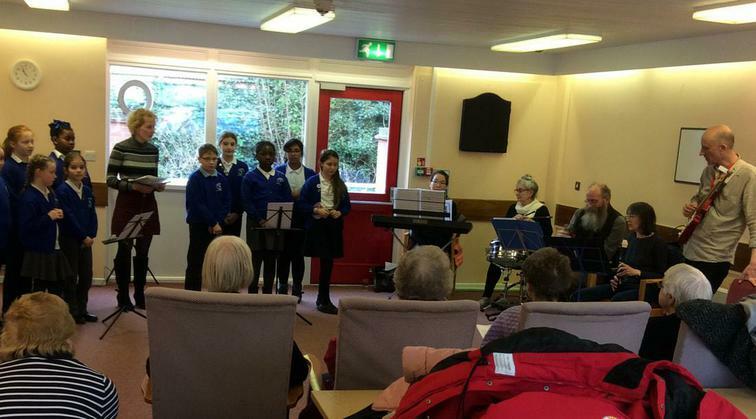 The school choir have been working on an exciting project this term which culminated in a joint performance with the local community band performing for the residents of Clover Green on the 22.3.18. This event was filmed by Jacob Opoku from Insite Radio, a link should be available soon. In the meanwhile here is a photo for you. 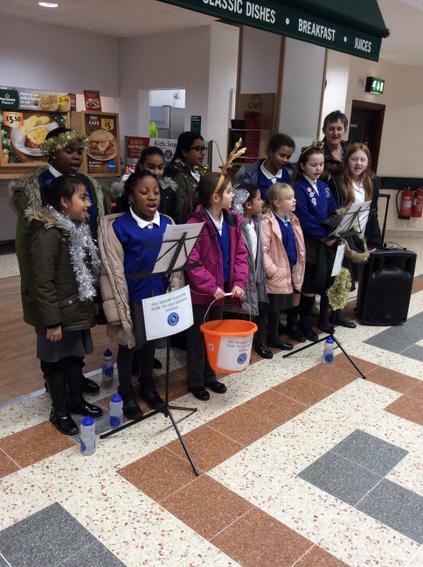 On Thursday 14.12.17, 10 members of our choir went to Morrisons in Bulwell and spread a little festive cheer by singing carols to the shoppers. They gave it their all and raised nearly £100 for school. 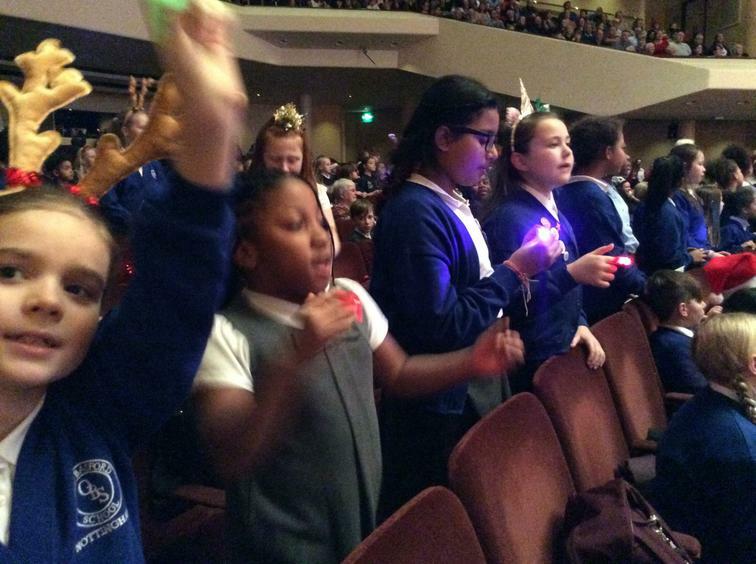 On Monday evening the choir members excelled themselves at the Albert Hall in Nottingham. 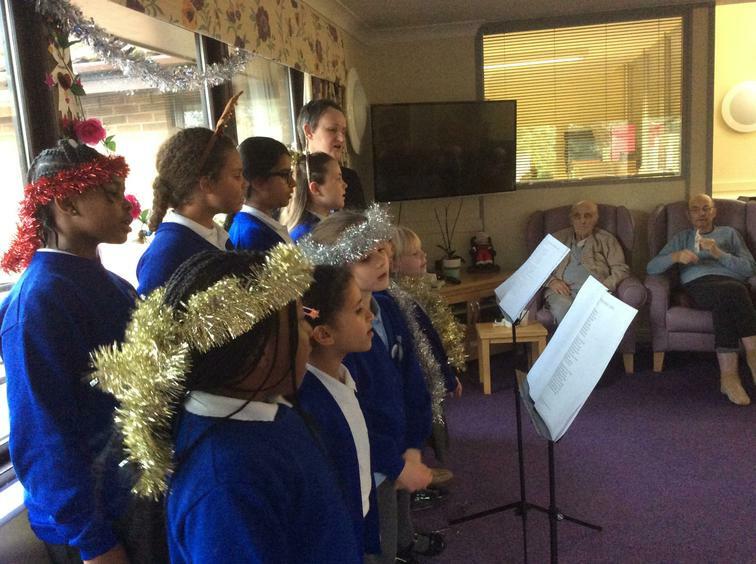 They sang their hearts out and made both the school and their parents proud. Check the photos out below. 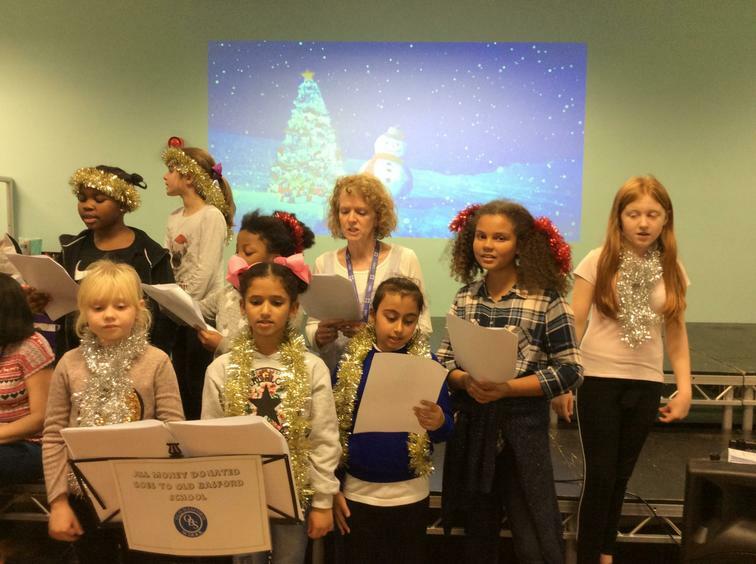 On Monday 13th November we had a workshop in school where the children started to learn the songs they will be singing at the Albert Hall in December and they absolutely nailed it! To say this was after only going through the song a couple of times, it is exceptional, just think what the performance will be like after practising for a few weeks. I personally can't wait for the show. Choir will be performing on Monday 4th December at the Albert Hall in Nottingham as part of 'The Christmas in the city' event. The concert will start at 7.00pm and end at approximately 9.30pm. 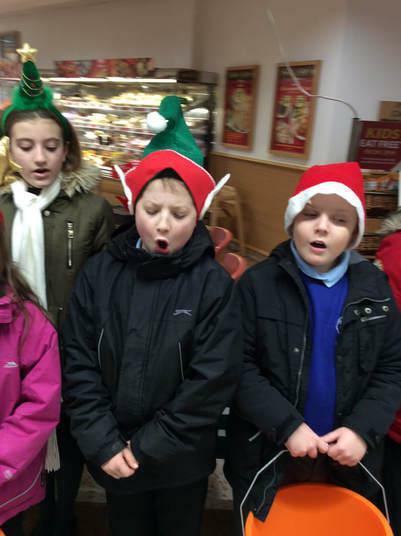 Choir will also be showcasing their wonderful talents, singing carols and fund raising for school, outside Morrison's in Bulwell on the 14th December. So if you happen to be out and about doing your Christmas shopping, be sure to pass by and give us a wave and a cheer. 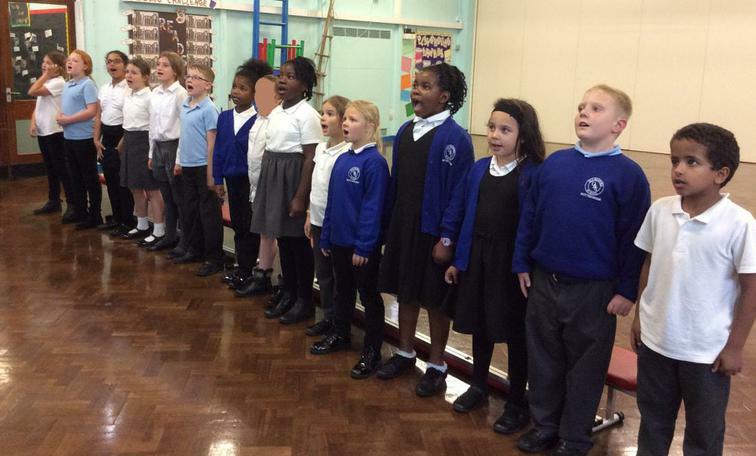 Choir began this year on the 20.9.17 and already the new KS2 choir are exercising their vocal chords and lung power by learning song they will go on to perform at events throughout the year. They sounded beautiful! This morning (21.7.17) 478 children and staff gathered together to celebrate the musical talents of our school. We all watched in awe as children played the guitar, piano and the recorder with both confidence and passion. 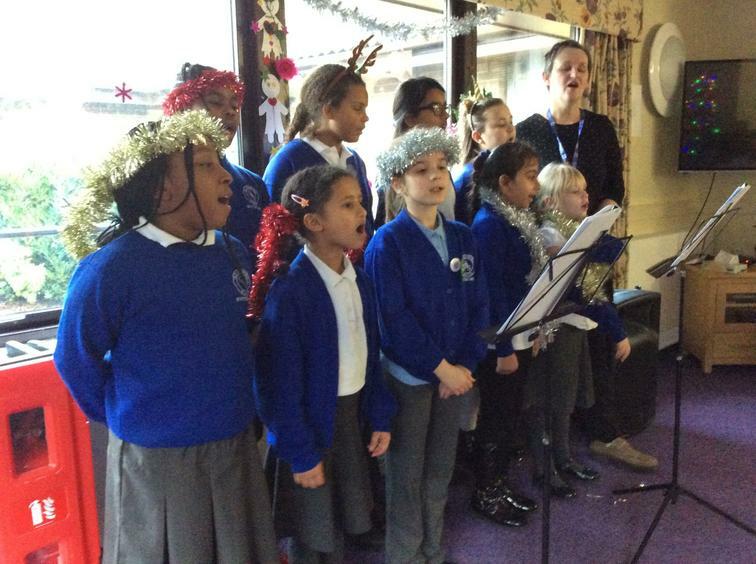 Many individuals, duos, groups and the school choir shared their beautiful voice and love of singing. It was a wonderful occasion to be a part of. A very PROUD end of year moment! During Honours assembly our Y5/6 guitar group performed to the whole school. It was just brilliant to see how far they had come on since learning the guitar as a part of our school Y4 curriculum. Your commitment to this instrument, your talent and your passion for music shone through.